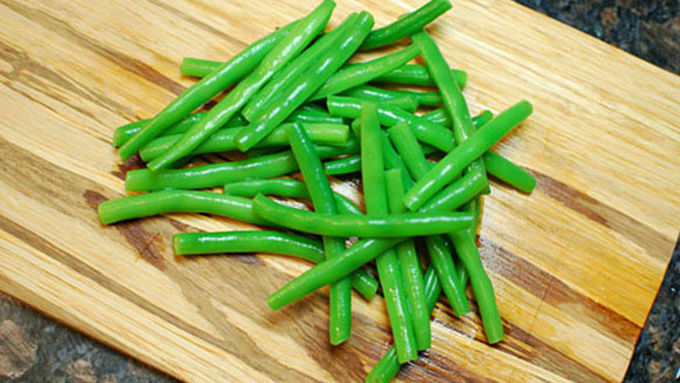 Blanch green beans by cooking in salted boiling water for about 5 minutes, straining, and then dipping into ice water for a few moments. 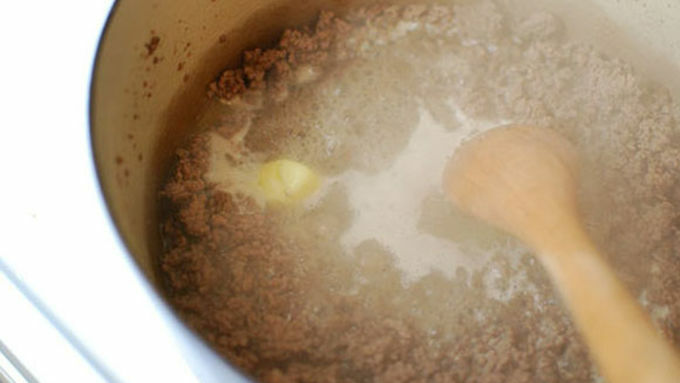 Make your Hamburger Helper™ pretty much to the package instructions, but remember to use only 3/4 cup of water. Remove from heat and stir in the gelatin. 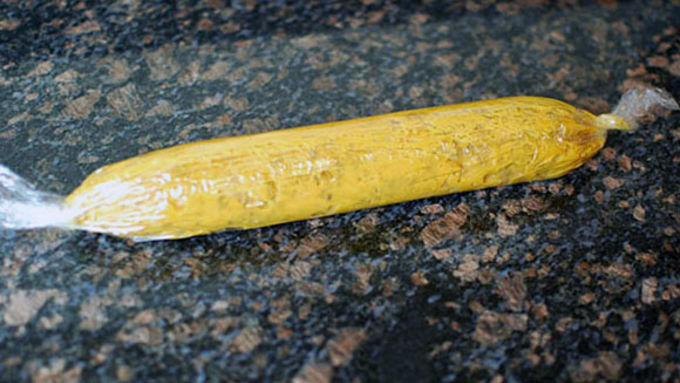 Allow to cool in the fridge for about an hour. Lay the Hamburger Helper™ flat on a piece of plastic wrap. You'll need to do this 2 or 3 times to use all of it. Top with the green beans and roll so the beans are in the center. Twist the ends to form a uniformly round log. Toss in the freezer for two hours until firm. 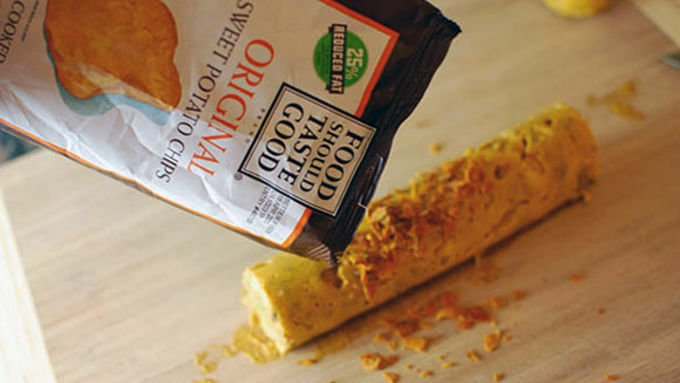 Roll the round in crushed sweet potato chips. 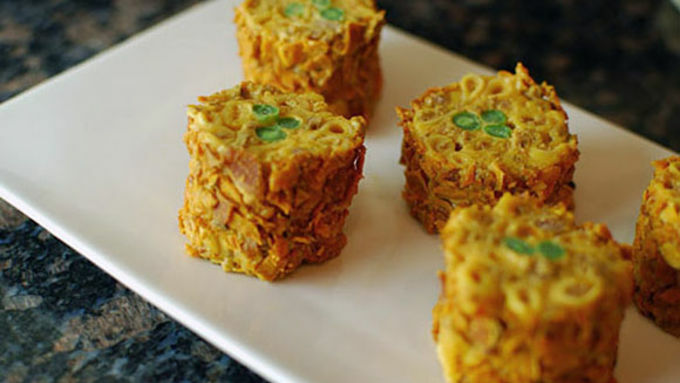 Slice into 1-inch rounds, and place on a plate and toss in the oven on the lowest possible setting for about 15 minutes. When the rolls are just warmer than room temperature serve with sriracha. Be careful not to heat the rolls too much or they will fall apart. It’s fun to play with your food sometimes. 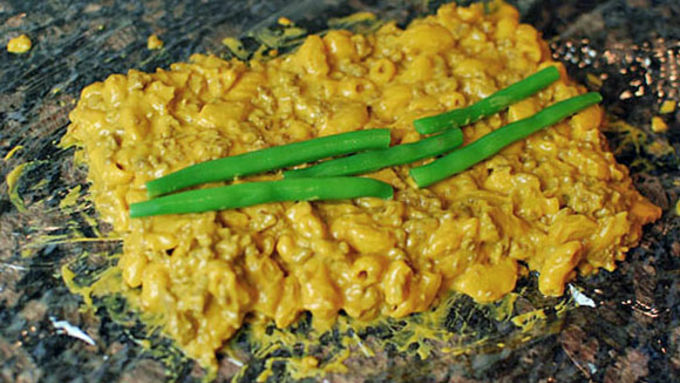 I particularly like taking some good old hearty comfort food (like mac and cheese, for instance) and dressing it up to make it seem classy or elegant. In this case, the target was Hamburger Helper™, so I rolled it up to look like a fresh rolled piece of sushi! These cute little rolls would be the hit of any party. But how can you achieve such a feat? Hamburger Helper is thick, but not THAT thick. I employed two little tricks to get it into the shape I wanted: a pinch of unflavored gelatin, and the good old freezer! Want to impress your friends with a new twist on a classic? 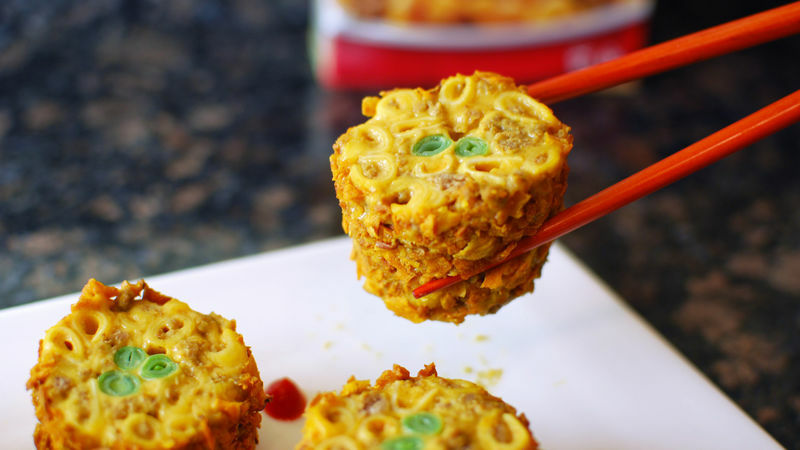 Try out this Hamburger Helper™ Sushi Roll recipe!